Hi everyone! 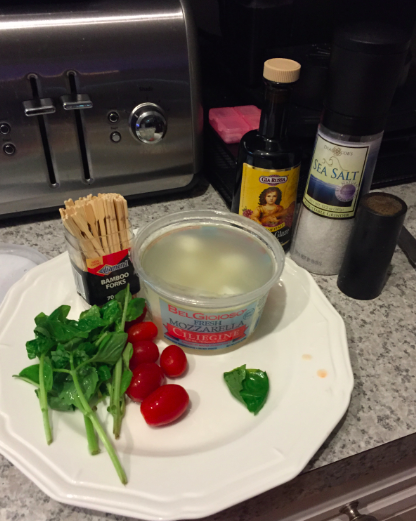 So I made the best Caprese Salad (after my cousin Maria told me the secrets!) yesterday. When I asked the boyfriend if he wanted more, he looked up and smiled..."Yes Please!!" 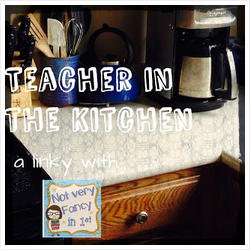 It's super easy to make, so I'm delighted to link up with Deb for Teacher in the Kitchen! 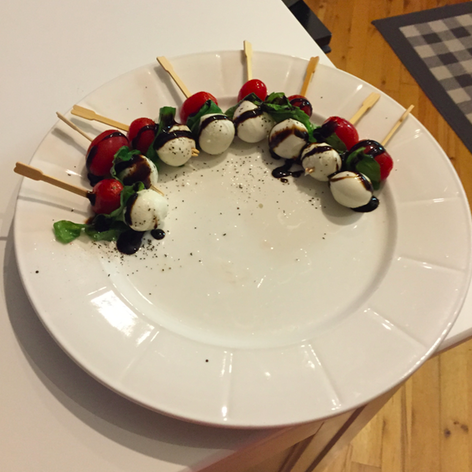 I skewered everything together on little toothpicks, so some of those too! That's it! It's this Balsamic Glaze that makes the recipe, so don't try and find a substitute. 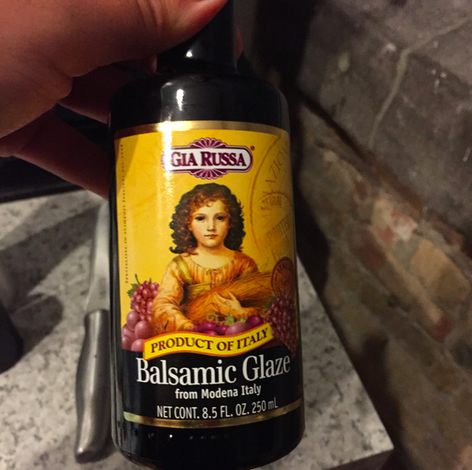 I got mine at Mariano's (I'm in Chicago) but I also found it on Amazon! The result? A beautiful looking appetizer! I think it's healthy, but then again the cheese, and well, I didn't check the stats on the glaze, but I say it's better than pizza, right? Let me know if you try it out and what you think! What are you cooking lately? Write up a post and share it with Deb! It looks so sophisticated! Thanks for linking up!